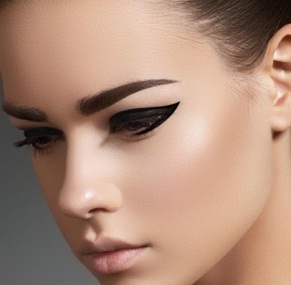 Deep-set eyes are those which are set back deeper into your skull and they give off the look of having a more prominent brow area. You can accentuate the look by highlighting under your eyebrow with a light shimmery highlight and adding a touch of warmth to your lids with peachy or brown shades. Use waterproof mascara to avoid smudging since your eyelashes would touch your brow area.